The Nite Ize DoohicKey produced by Nite Ize is a clever little tool for your keychain or pocket. It is very small, around 2.5″ long and about 0.75″ wide, yet packed with several features. The bottom end has a flat screwdriver tip, with one corner honed sharp for cutting open boxes and such. This end also features a bottle opener as well. 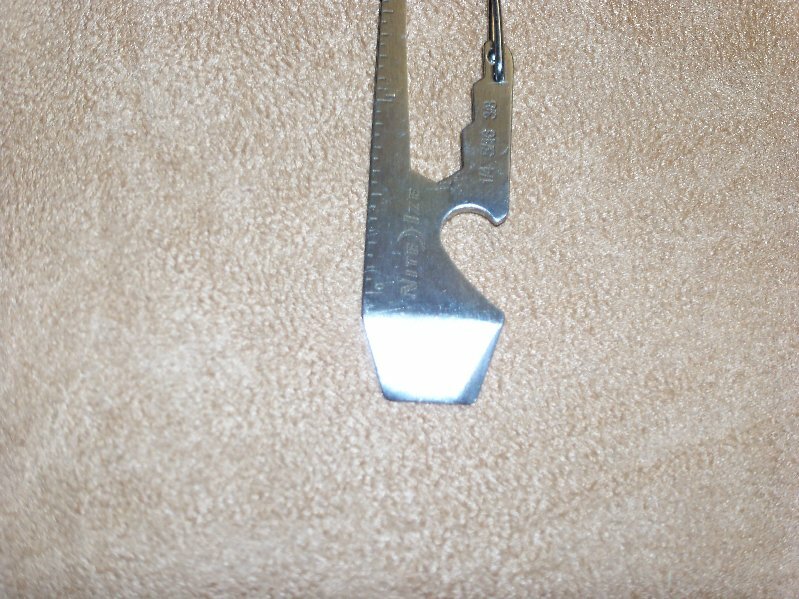 The tool is strong enough you could use it for a very small pry bar as well, such as for opening paint cans. The top end has a carabiner clip so you can easily attach and remove it from your key ring. See those notches just to the left of the carabiner clip? Those are scaled to fit nuts for loosening them from bolts — 1/4″, 5/16″, and 3/8″. The back edge also has a 2″ ruler etched into it. The Nite Ize DoohicKey is constructed of stainless steel and is available in black or stainless finish. It retails for about $6.00, so very inexpensive. You can find it here on Amazon. However, if I had my druthers, I’d rather swap the bottle opener for a can opener. I don’t open many bottles that require an opener but this little tool would make for an awesome “in the field” can opener if they reworked it just a bit. That said, Nite Ize manufactures several nifty gadgets that might be of use to preppers.